WHY: While I can’t remember what I was getting up to when I was a teenager, I can tell you I certainly wasn’t writing killer songs. 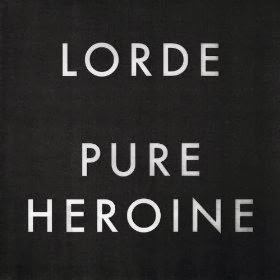 But that’s just what the Kiwi phenom has done with Pure Heroine, and like pretty much every other blogger out there I’m all sorts of impressed. Her matter-of-fact, blunt but honeyed vocals hold nothing back, coming across both exposed and incredibly self-possessed and even powerful. Her lyrics are incredibly careful and aware, and pair perfectly with the beats in each song. While only time will tell in terms of staying power, this is a pretty prodigious effort for such a young artist. Dang, y’all. This girl just gets it.